How to Create Ideas: All Fortunes Begin With an Idea! Home | Starting a Business | Startup Basics | All Fortunes Begin With an Idea! waiting for the perfect idea . Would be entrepreneurs with too few ideas. 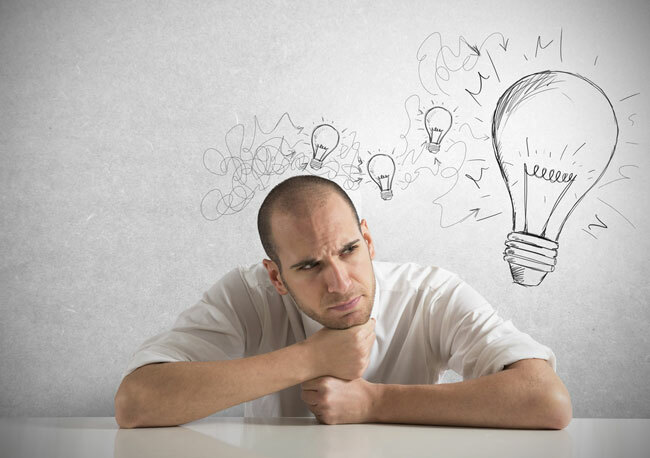 These individuals typically say if only I had an idea for a business. Just remember that if you say you don’t have an idea it really means you have no-idea ! If this applies to you, you need to get cracking on that first idea fast! As soon as you are able to dream something up, you ll have the essential ingredient that all successful businesses are built upon. Would be entrepreneurs with too many ideas. “Can you ever have too many ideas?” Well if your creative process leaves you feeling overwhelmed for choice then it’s definitely a possibility! Many highly creative people experience inertia in business purely because they have so many ideas. They don’t know where to start or which idea to implement first! Would be entrepreneurs waiting for the perfect idea. If you fall into this category, even if you do manage to find the perfect idea , ask yourself whether or not you are going to have the right skill base to get it off the ground. Many successful entrepreneurs have failed many times before their perfect idea came along. It is through being prepared to fall down and stand up again that you develop the tenacity required to succeed in business. All the entrepreneurs that I have met have been possibility thinkers . By this I mean they keep their minds open to new opportunities and new ways of thinking. The best way for you to cultivate this ability within yourself is to spend time around other creative thinkers. Challenge each other to innovate.